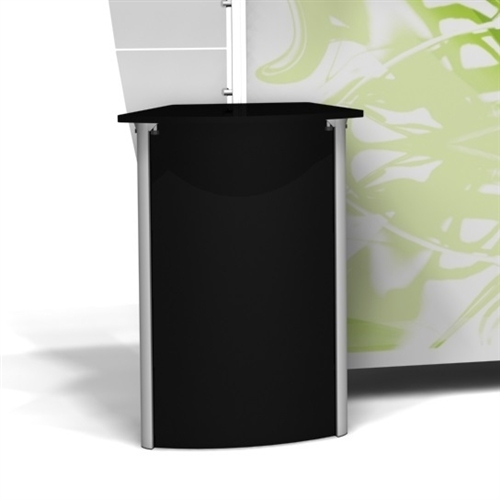 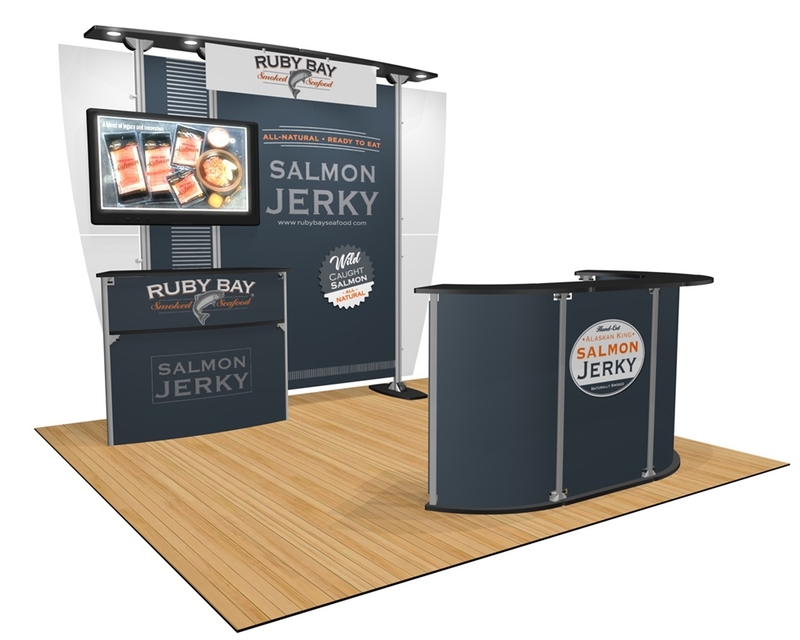 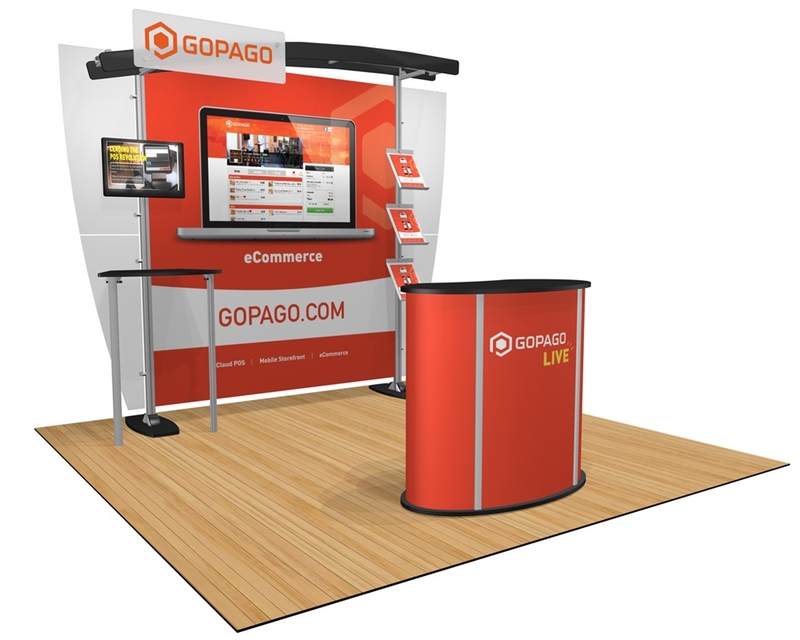 The Exhibitline 10.05 has a custom look and simple set up featuring a monitor mount above an enclosed counter. 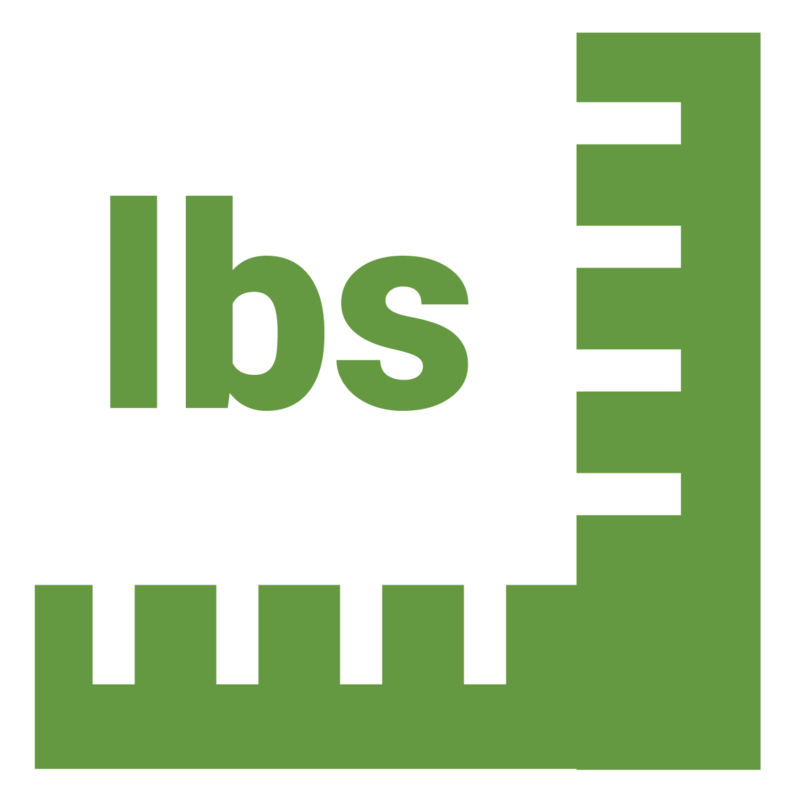 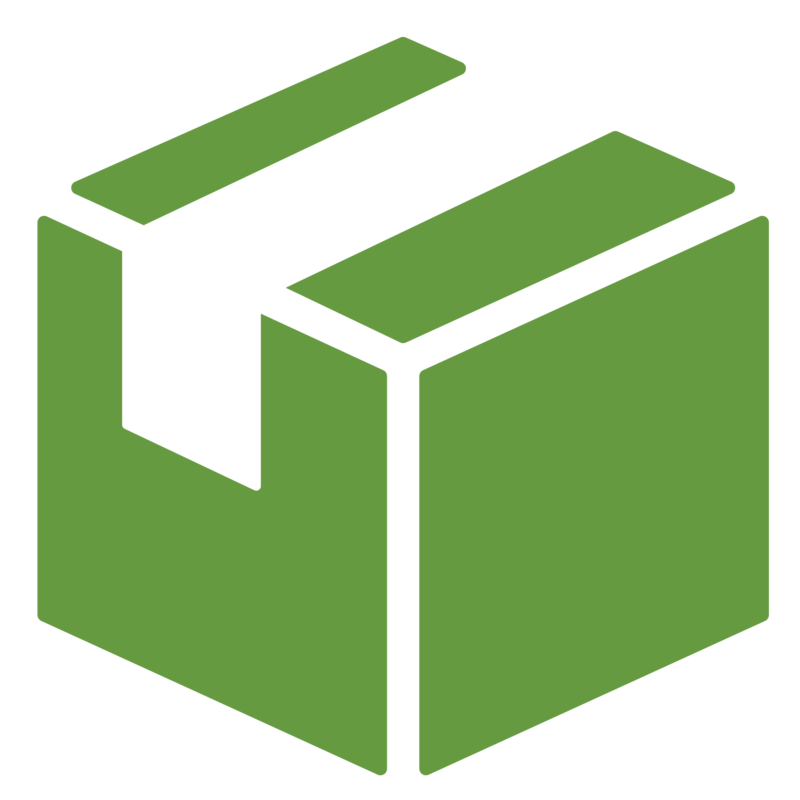 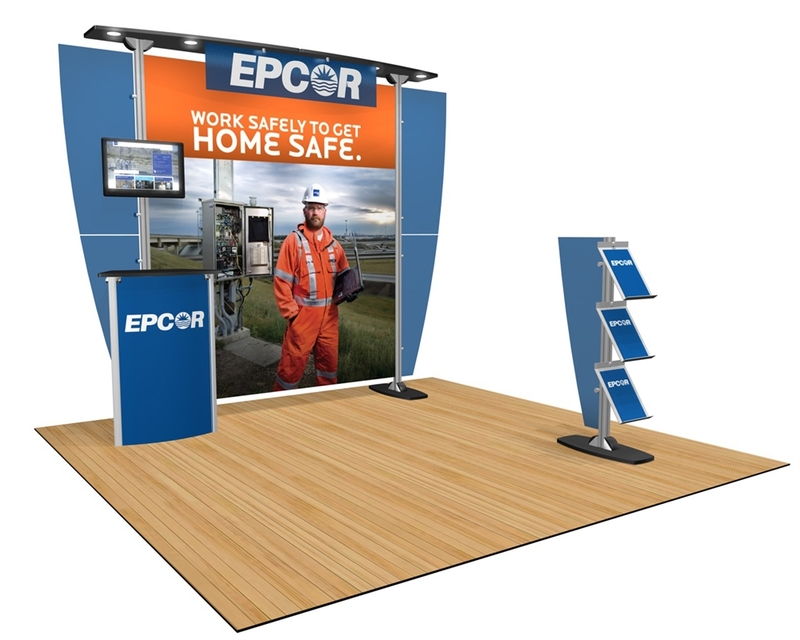 Price includes a custom-printed header, a freestanding literature display and two hard shipping cases with wheels. 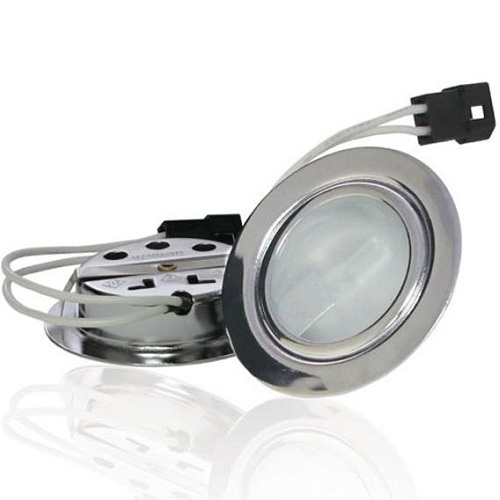 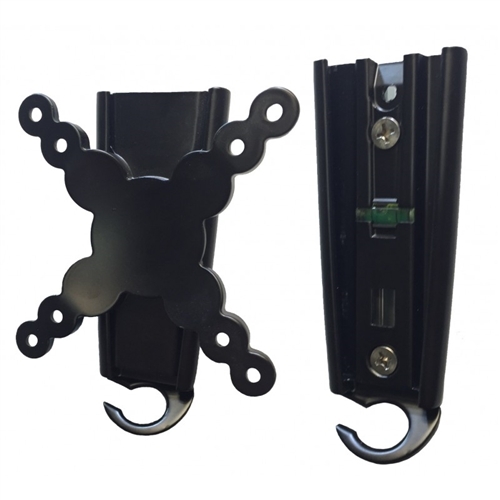 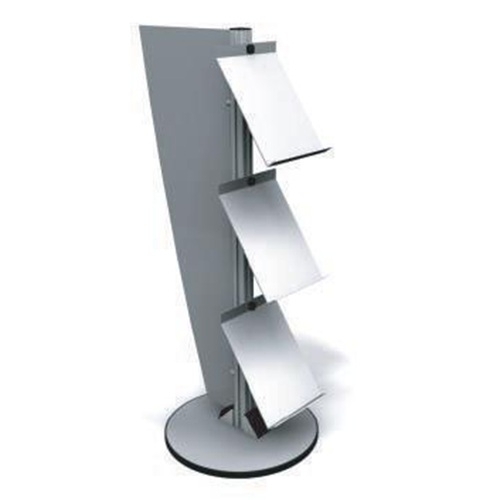 The structure of this display is made from durable and lightweight 1 3/4" aluminum extrusions. 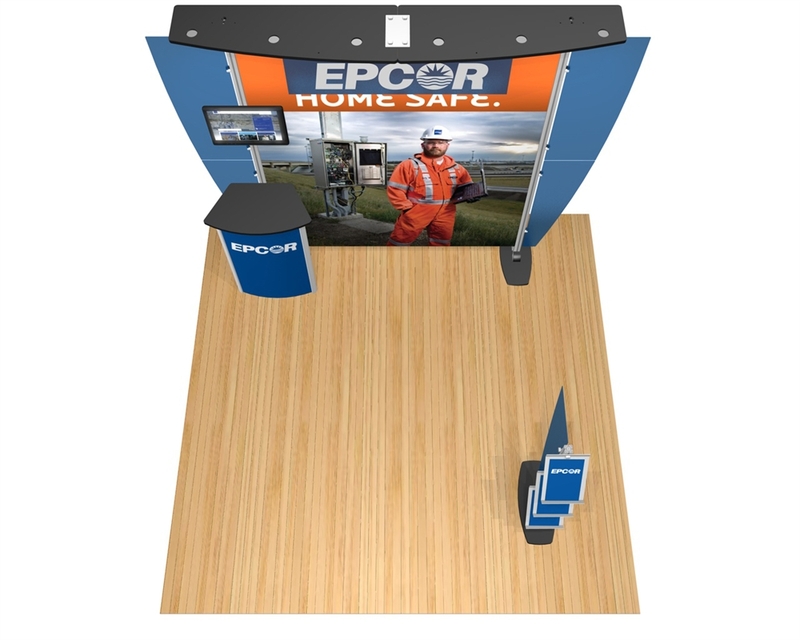 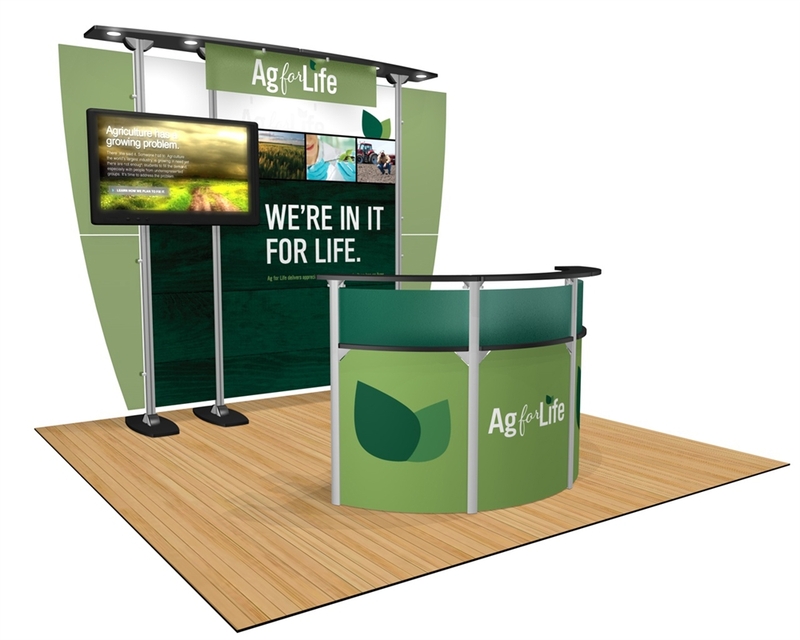 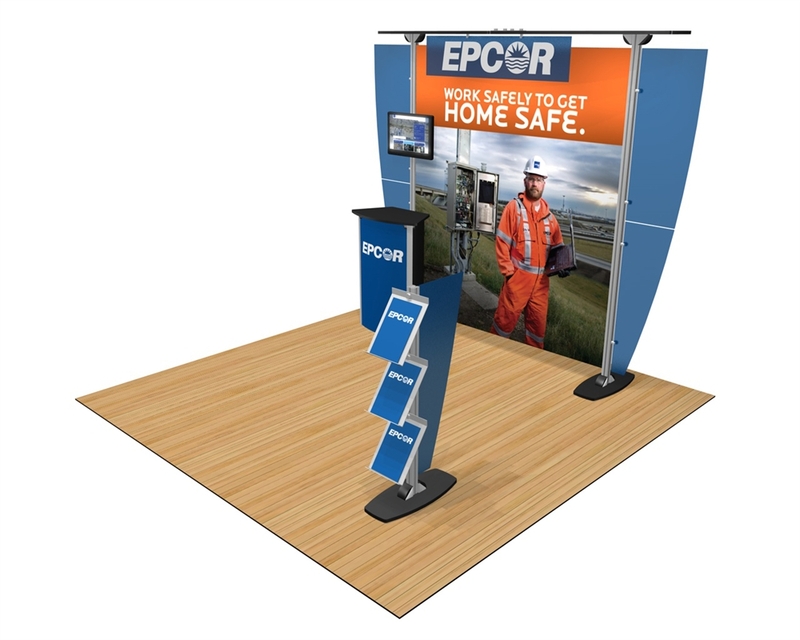 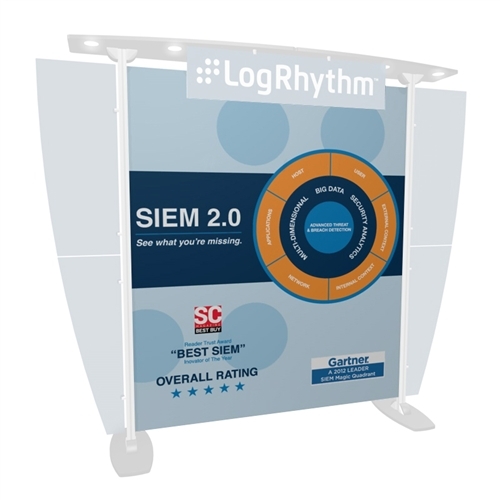 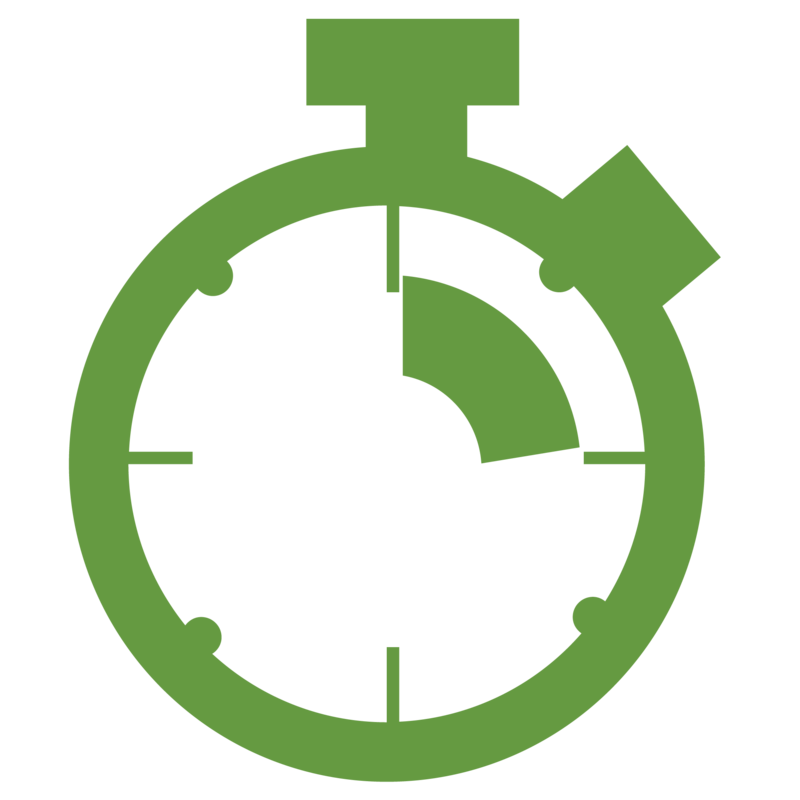 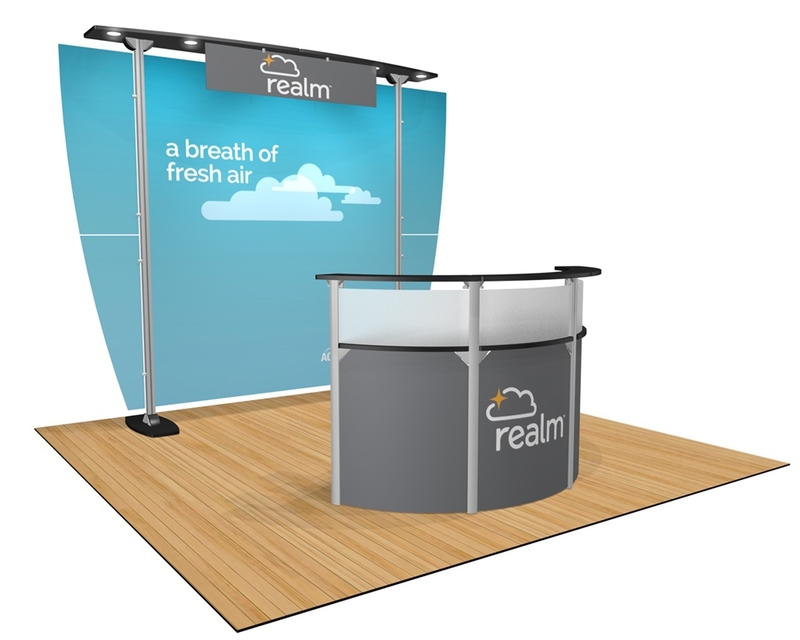 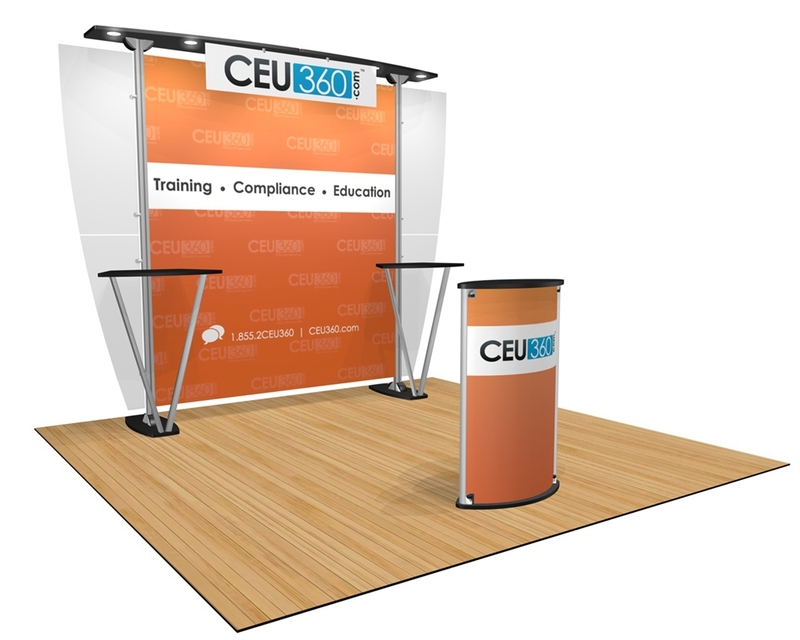 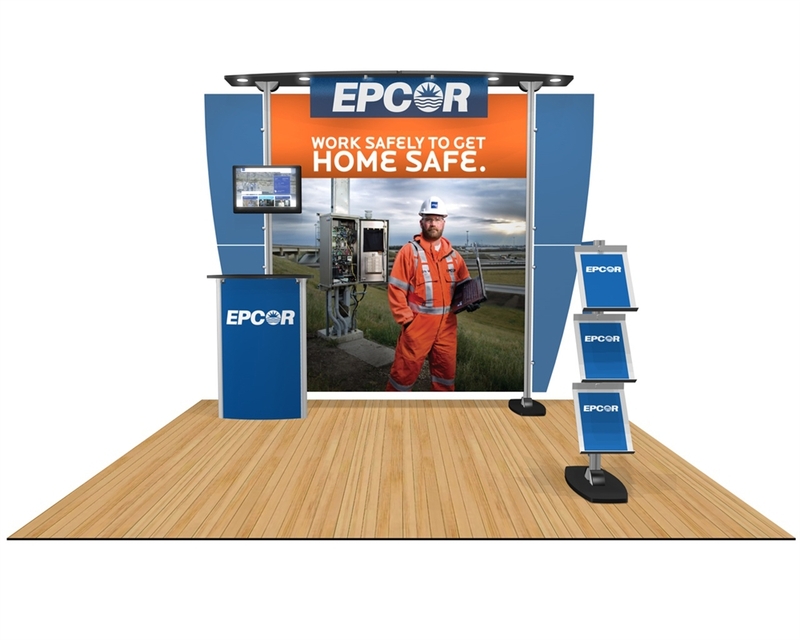 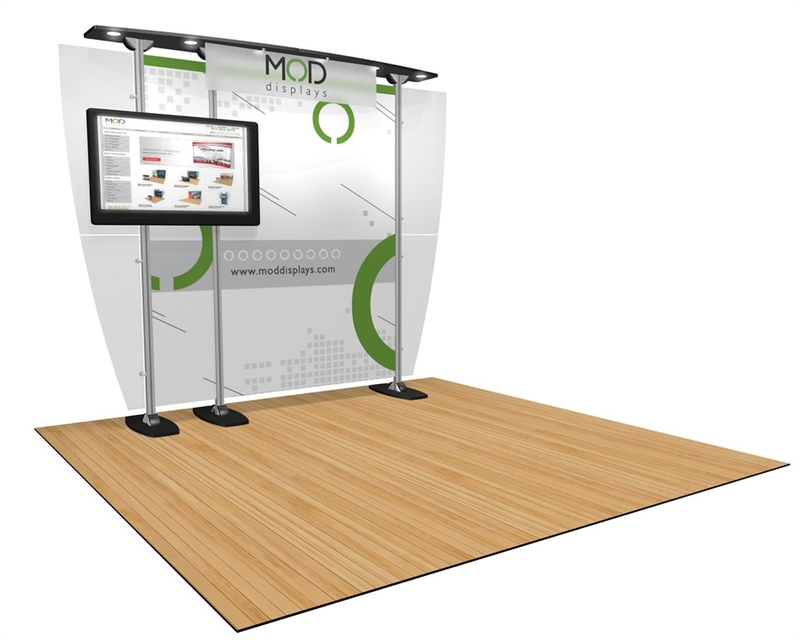 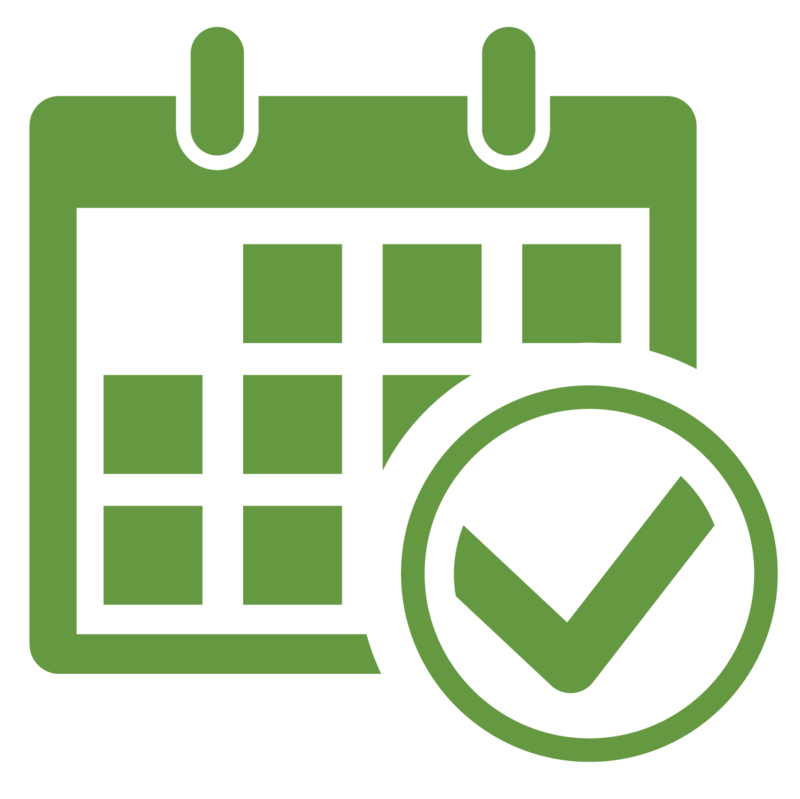 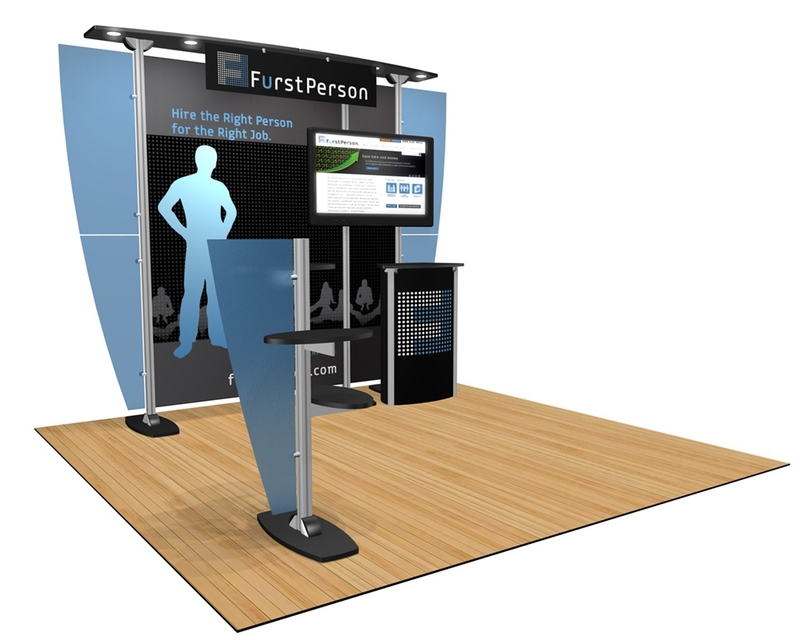 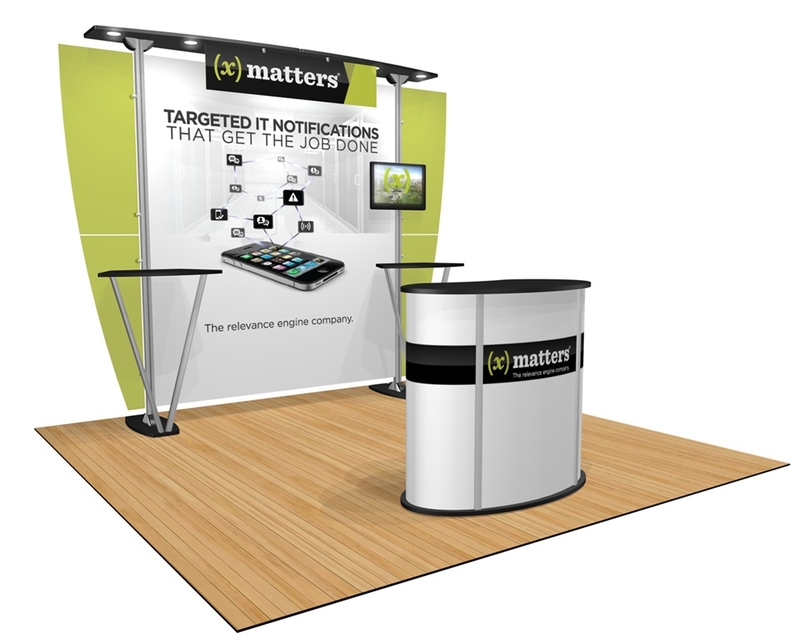 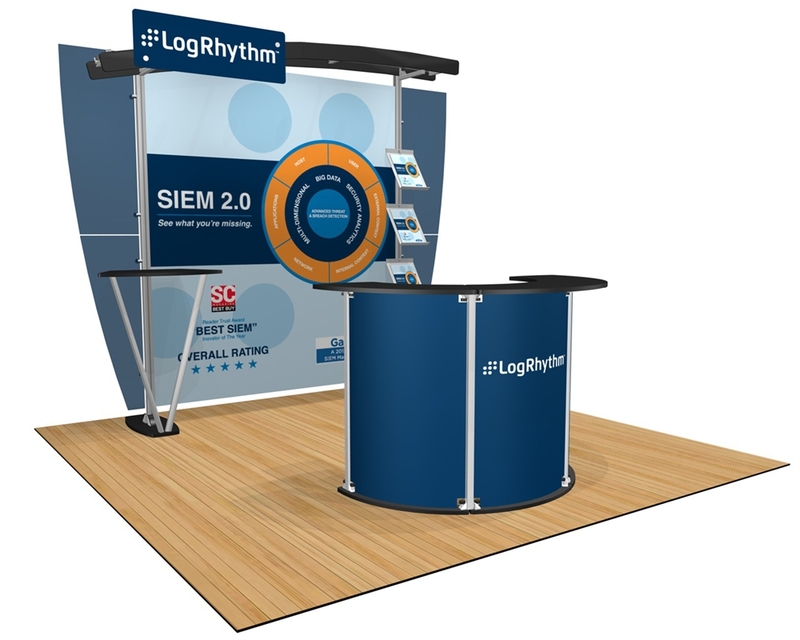 These extrusions give your company a clean, professional look, and their simplicity ensures that your graphic is the focal point of your trade show booth. 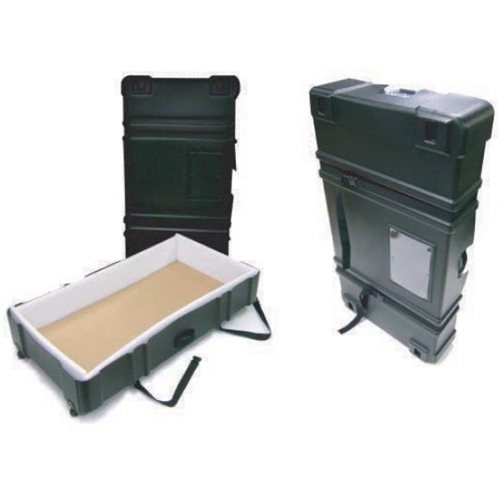 This entire setup packs into two shipping cases. 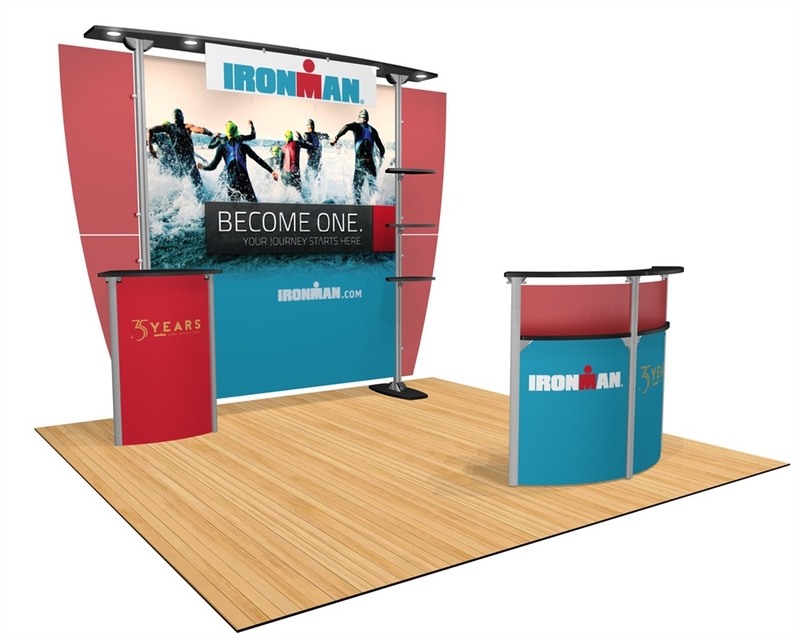 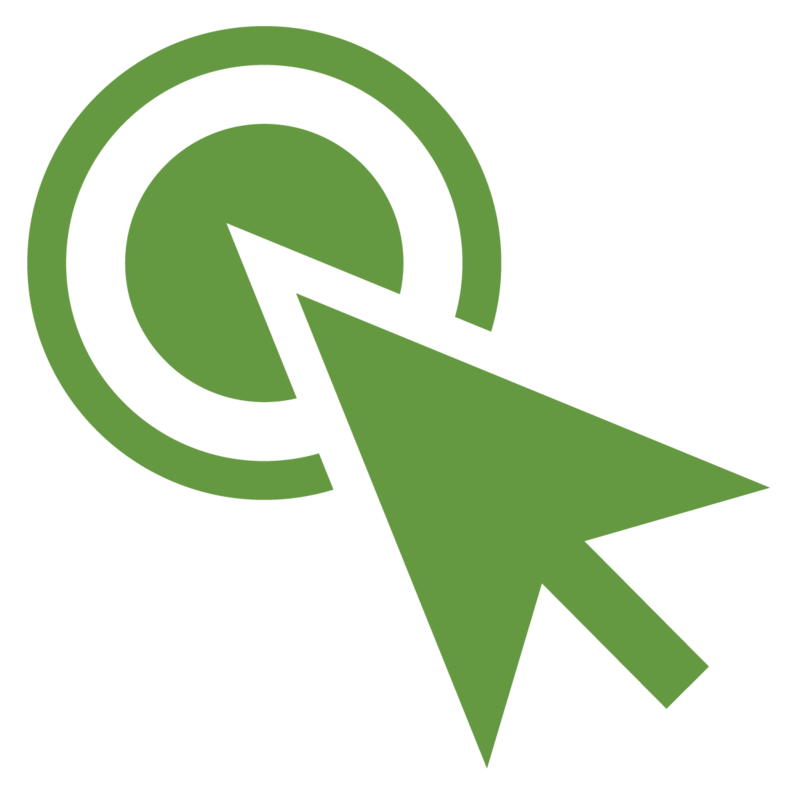 The Exhibitline uses a dye sub graphic for the main backwall, which is quickly becoming the standard in the trade show industry. 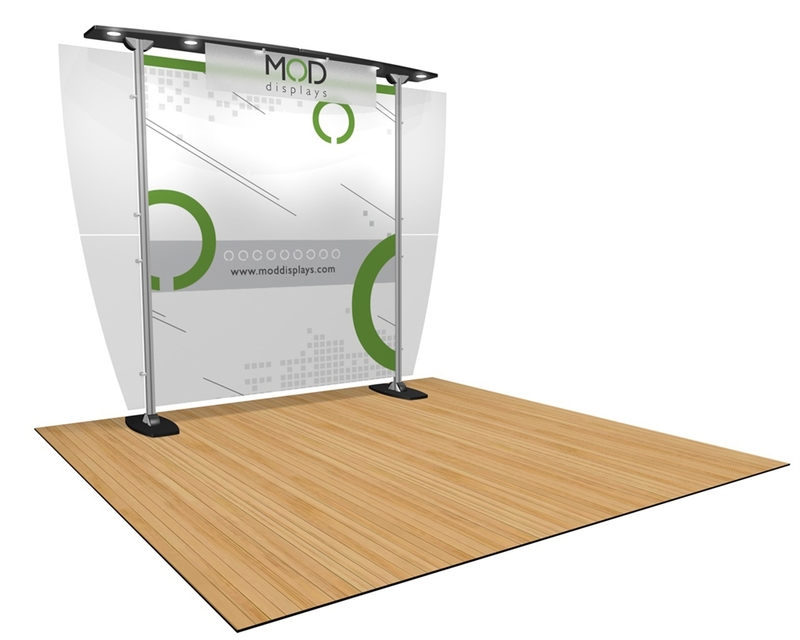 The graphic stretches between the main vertical aluminum extrusions to give the appearance of a rigid back wall display. 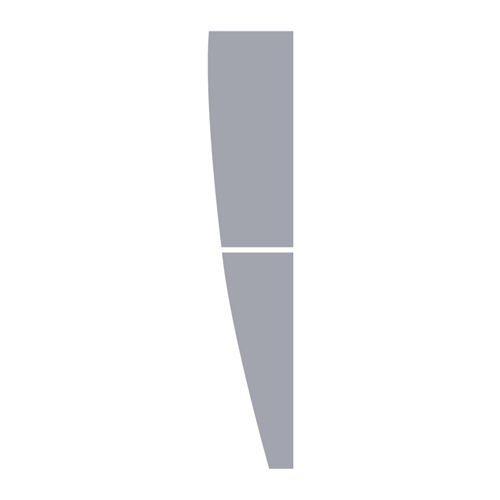 • Header: 47" x 11"